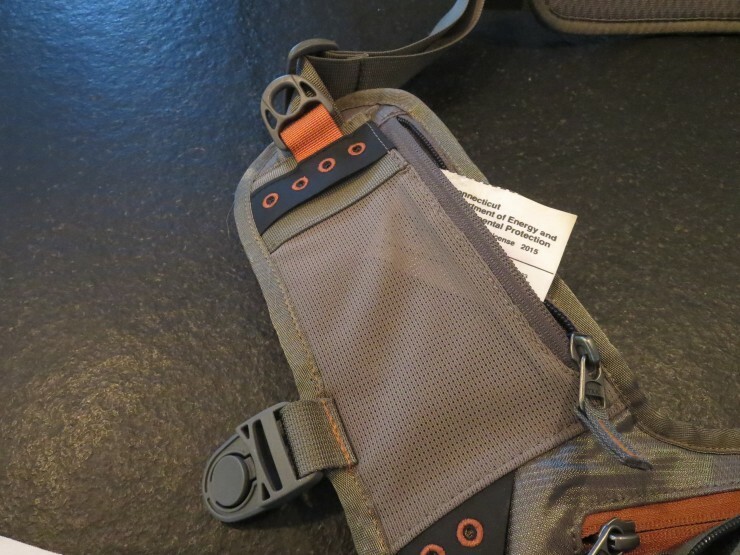 Had a chance to review Fishpond’s Black Canyon Creek backpack on a small stream hiking and fishing trip. I don’t often need the capacity this pack offers, but I took full advantage and loaded it up. 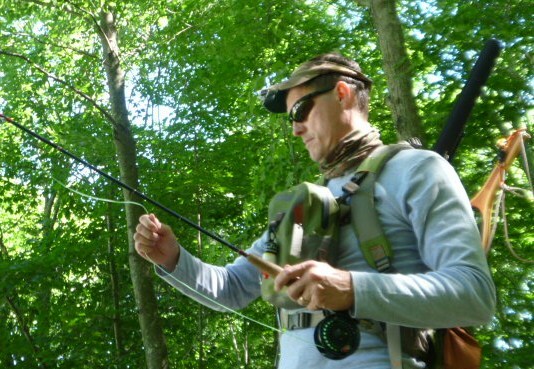 Because we were hiking in and along the stream on a warm day, I decide to carry most of my fishing gear, including two rods, reels, waders, boots, extra flies, Fishpond Chest Pack and more. There was easily enough room for all my stuff. The padded shoulder straps and lumbar support made it comfortable as I walked and waded throughout the day. All this fit easily inside. 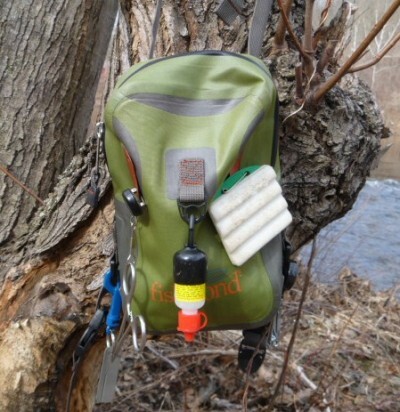 While there are a number of comfort and functional features built into this pack, there were two that really came in handy: the zip-out rod extender and the clips that allow you to attach other Fishpond products. 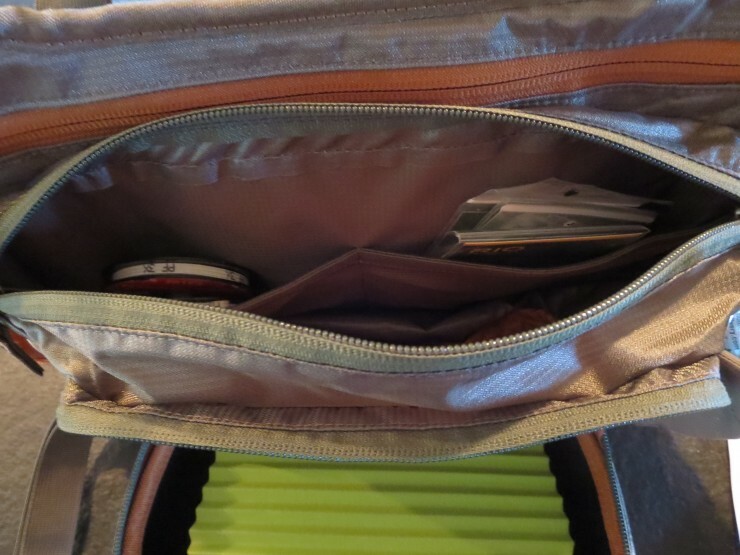 Both of my rod tubes benefitted from the zippered pockets, which extends the rod carrier length. They rods stayed secure and out of the way as we moved through brush and under low-hanging branches. 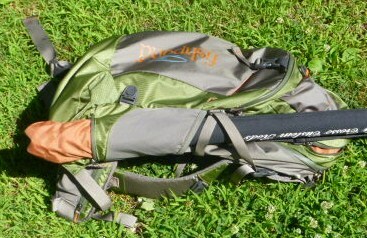 The clips on both the front and back of the pack allowed me to integrate my Fishpond chest pack effortlessly. It is a convenient option that eliminates the need to repack supplies. 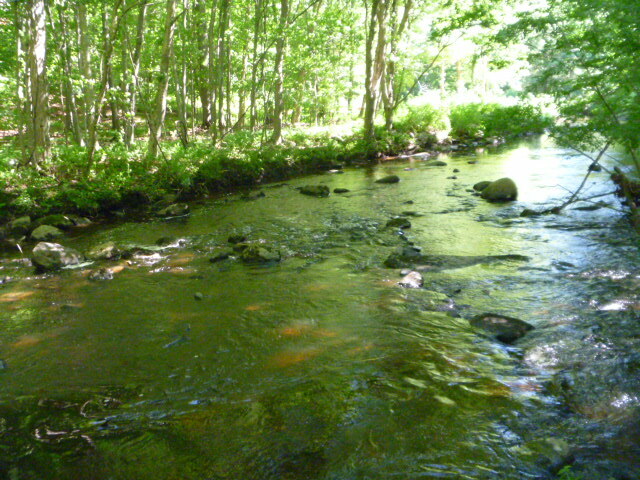 The water we covered was a textbook small stream. 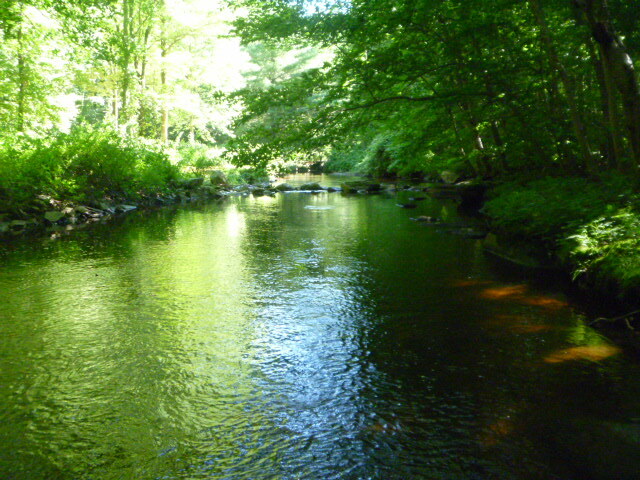 A canopied stretch of riffles, pools and runs, none more than knee-deep. 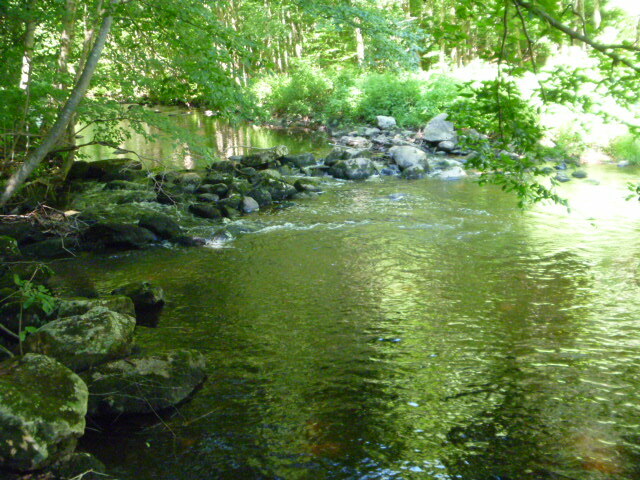 Most of the time we hiked along the bank, and only stepped in when making a cast. We fished for most of the day, and the Black Canyon backpack was so comfortable that I almost forgot it was there. Along the way we picked up quite a few little guys like this. 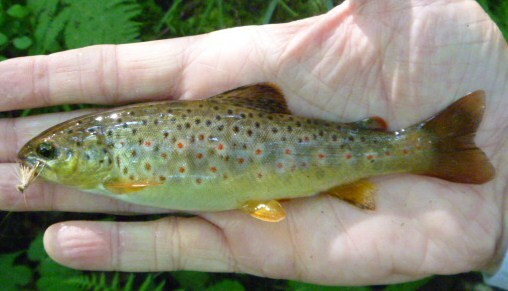 Not exactly slabs, but they were a lot of fun on a 3wt with dry flies. Perfect for a summer day trip. If you’re looking for a lightweight backpack with plenty of room, try the Fishpond Black Canyon. 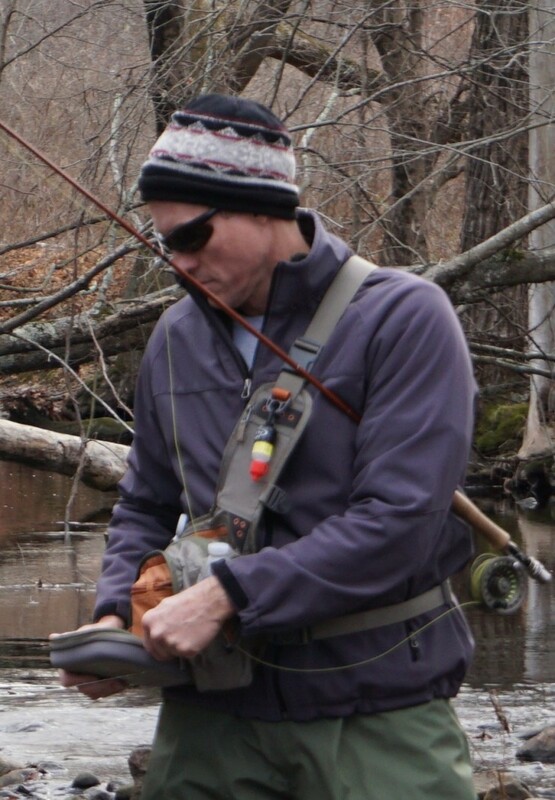 It’s a comfortable and versatile option, and the ability to attach your other Fishpond gear is a real plus. Enjoy! 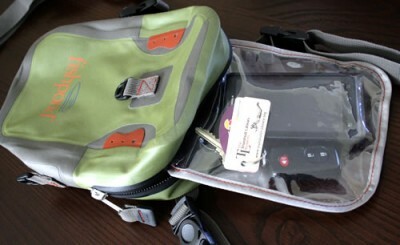 Just received one of Fishpond’s new Westwater Chest Packs to try out. 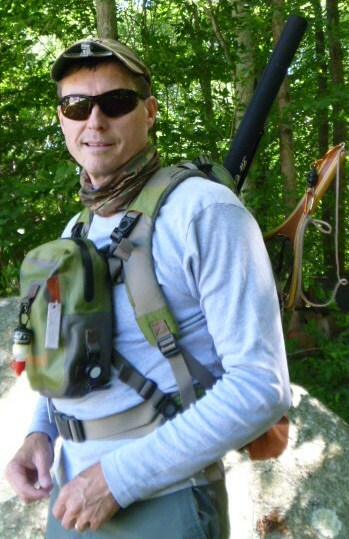 Since many of my spring fishing trips are short jaunts to a local stream, I don’t need the capacity of a vest or backpack. 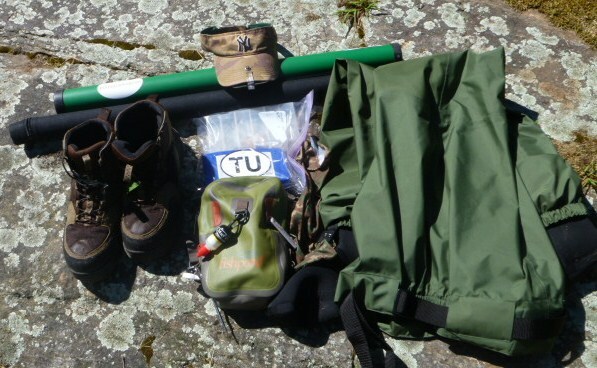 All I carry is enough equipment for a few hours on the water, with easy access to the necessities. 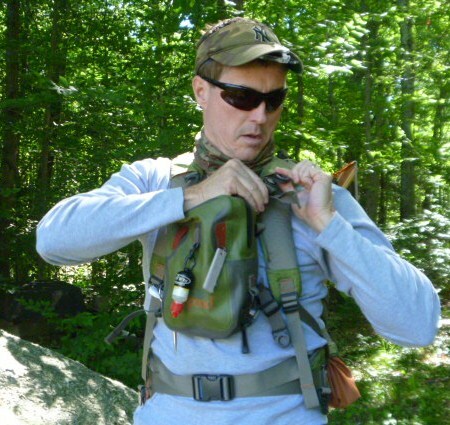 The Westwater chest pack fits the bill. Although I’m traveling light, I’ll typically have 3 fly boxes containing nymphs, dry flies and streamers. I’ll also carry 2 sizes of tippet, snips, forceps, and split shot. For summer trips I usually throw in bug repellent and the Buff. I also have a phone and keys that need to stay dry. Capacity, convenience, construction and comfort, particularly around the neck, are important. 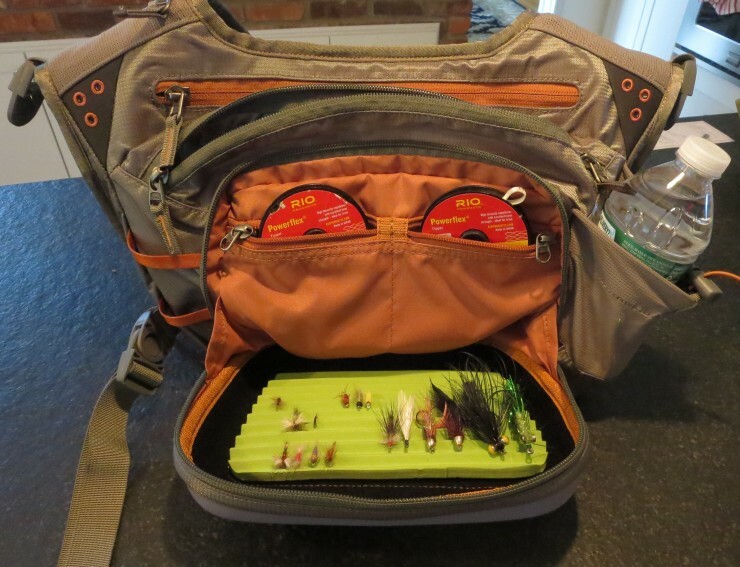 The chest pack has dual interior organization pockets, a padded back, pass-through slot for belt attachment and an adjustable shoulder strap to allow anglers to wear it as a chest or sling pack. 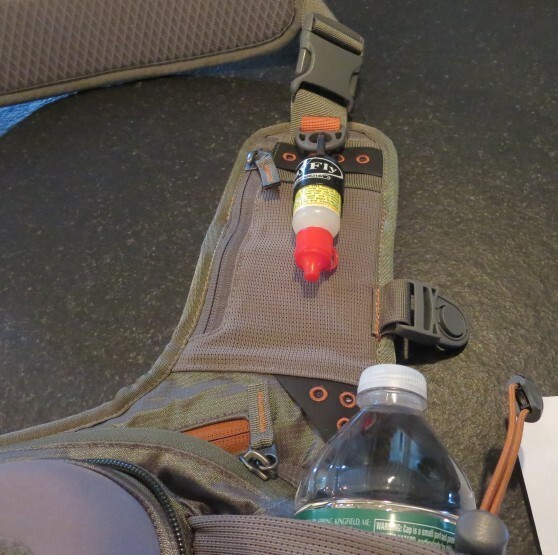 Reading through some of the specs, I learned that the modular design allows for the pack to attach to the Westwater Backpack, or a number of other Fishpond products, which makes changing setups that much easier. The welded fabric construction has a clean look, and the water resistant zipper with oversized rubber pulls comes in handy. But is it really water resistant? I decided to conduct my own highly unscientific test. 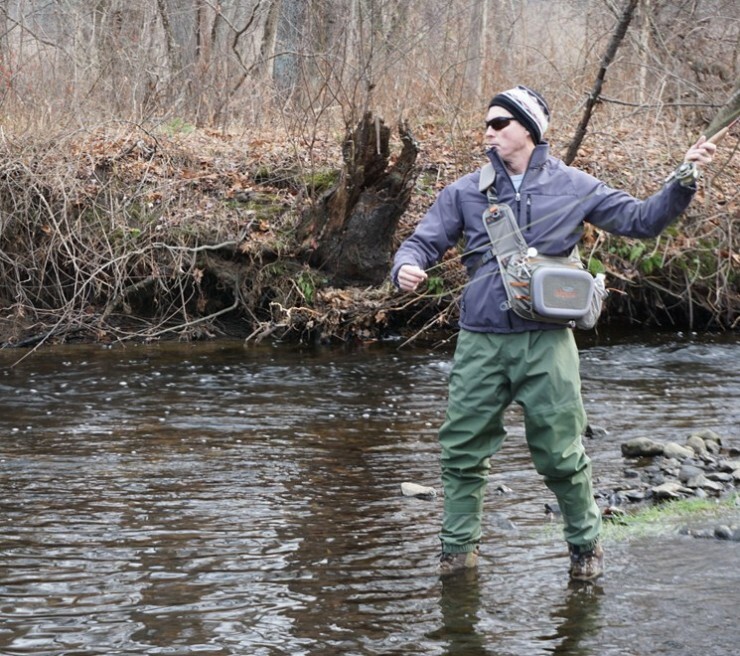 As part of our field test, I took the pack out on the Farmington River for a quick trip. The river was higher than usual, so the pack spent at least part of the time floating in the water. 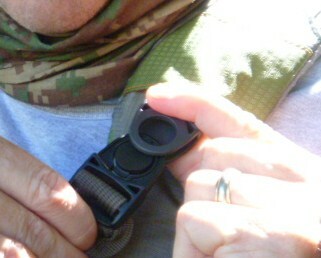 I found the neck and waist straps to be comfortable and released easily when needed. I was able to retrieve my fly boxes quickly, and the zipper operation was smooth. 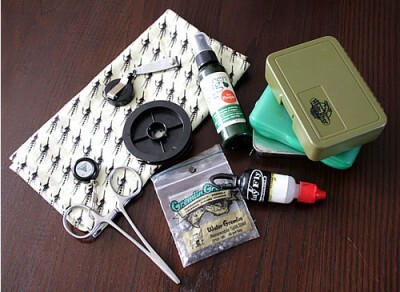 As you can see from the pic below, I used the outside fasteners for forceps, snips, floatant, etc. For a quick trip or when you’re traveling light, this is a nice comfortable chest pack or sling pack, with more than enough room for the essentials. 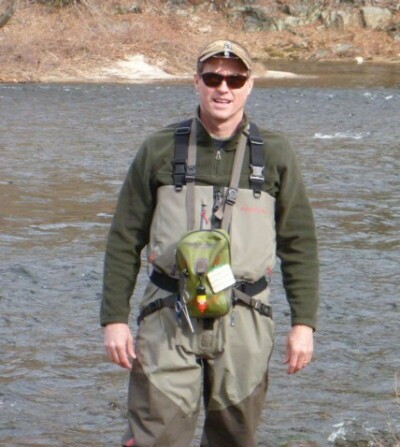 The water resistant fabric comes in handy, especially when you’re wading in deeper water. To see the collection of Fishpond’s products, click here. Note: I receive no compensation or consideration for these product reviews. The Holiday version of online fly fishing magazine A Tight Loop is here. This issue is largely dedicated to gift ideas. Whether you’re looking for something to put under the tree or in the stocking, this issue will give you plenty of ideas. Enjoy!